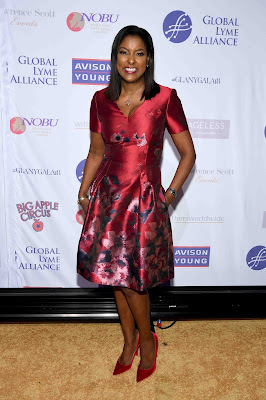 The Global Lyme Alliance (GLA), the leading 501(c)(3) dedicated to conquering Lyme and other tick-borne diseases through research, education and awareness, today announced that its fourth annual New York City Gala raised over $2 million at Cipriani 42nd Street in New York City. The money raised at the event will support the GLA’s mission to advance scientific research leading to a reliable diagnostic test, improved treatment options, and ultimately, find a cure for Lyme and other tick-borne disease. Ramona Singer and Erin Walker were honored at the gala while the audience was treated to a show-stopping performance by Tony Award-winning Broadway and television star Sutton Foster. The gala experience was produced by co-chair and celebrated event producer Larry Scott of Lawrence Scott Events, who donated his event planning and design services towards the Global Lyme Alliance’s New York Gala for the fourth consecutive year. Showcasing his unique commitment to philanthropic causes, the spectacular and one-of-a-kind gala was an evening to remember for invited celebrities, business leaders, and top scientists alike. 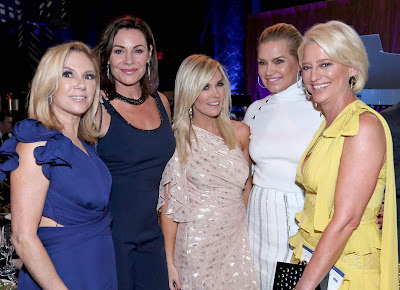 The October 11th gala was well-attended by more than 700 supporters at Cipriani 42nd Street and recognized Ramona Singer, entrepreneur, philanthropist and star of Bravo TV’s “Real Housewives of New York City,” and Erin Walker, mother, equestrian, business owner, and wife of 2016 PGA Championship winner Jimmy Walker. Ramona has seen the devastating impact of Lyme disease first-hand through close family members and friends, and both Erin and her husband Jimmy are currently battling the disease. Lori Stokes, co-anchor of FOX 5 Good Day New York, hosted the event. Erin and Ramona both addressed the crowd in emotional testimonies of their experiences with Lyme and their dedication to raising awareness for finding a cure for this insidious disease. Jimmy Walker spoke to the crowd by way of video, thanking GLA and congratulating Erin. Global superstar Avril Lavigne recorded a special video message for the crowd, which was shown, announcing that she has officially accepted the invitation to join GLA’s Board of Directors, as well as details of the new strategic partnership between The Avril Lavigne Foundation and GLA. Avril’s new single, “Head Above Water,” is about her personal struggle with Lyme disease. Celebrity event planner Larry Scott of Lawrence Scott Events donated the design and décor for the sophisticated celebration. A New York City skyline projection scaling the wall of Cipriani 42nd Street illuminated the room in midnight purple. Each table was set with gold brass teardrop lamps or glass candle centerpieces alongside small potted foliage, and atop glittering gold or black tablecloths. The awe-inspiring gala experience embodied the signature stylings of A Larry Party™, perfectly balancing the highs with the lows and the formal with the relaxed to empathize significant moments. Other evening highlights included a surprise performance by the Big Apple Circus and a menu inspired by Drew Nieporent of Myriad Restaurant Group, with sushi courtesy of Nobu. 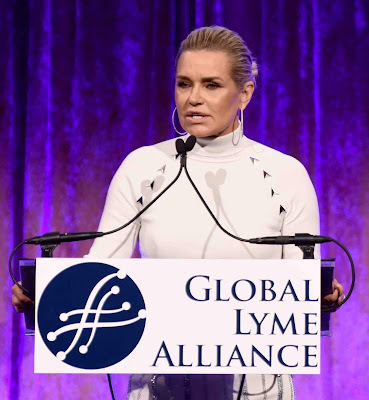 Past GLA Gala honoree Yolanda Hadid spoke to guests about her Lyme journey and introduced a short video that illustrates the impact Lyme can have on one’s entire family. The ceremony ended with a very special performance by Tony Award-winning actress and recording artist, Sutton Foster. The event was also attended by reality stars, Tinsley Mortimer, Sonja Morgan, Dorinda Medley, Luann de Lesseps, Kat Cunning and actor Chris Jones; health and wellness influencers, Amie Valpone, Jacqueline Sposito, Adrienne Nolan, Jordan Younger and freestyle soccer player, Skye Cowie. 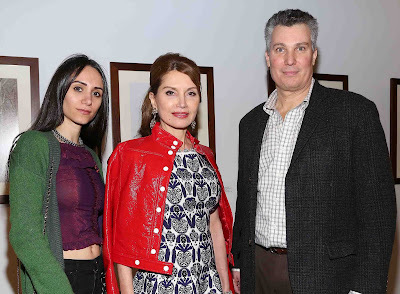 Fashion Icon Jean Shafiroff was also in attendance. The Co-Chairs for the event included celebrity event producer, Larry Scott of Lawrence Scott Events, Joseph Abboud, celebrated menswear designer and author; Charles Balducci, co-founder, Snyder/Balducci Group, Merrill Lynch; Chris Corrinet, senior VP, CBRE; Robert Kobre, vice chairman, Credit Suisse; Jarrod Nadel, chief product development officer, Tailored Brands, Inc.; Drew Nieporent, owner, Myriad Restaurant Group; and Peter Norley, COO, Credit Suisse Securities. Honorary Event Chairs included Jay McInerney, Jim Miller, Mary Beth Pfeiffer, Mike Schneider, Victor Slezak, and Marisol and Rob Thomas from Matchbox Twenty. Lyme disease is an illness caused by the bacteria Borrelia burgdorferi, transmitted through the bite of an infected black-legged tick. The disease has been reported in all 50 states and more than 80 countries. All ages are affected, but children aged 3-14 are most at risk, with 200 new cases every day. Early diagnosis and treatment is the key to combating the disease. However, current diagnostics are 55% inaccurate, leading to delayed treatment. If untreated, Lyme disease can become a severely debilitating illness affecting multiple organs, including joints, heart, brain and other parts of the central nervous system. Even when treated early, up to 20% go on to suffer debilitating long-term symptoms that are difficult, if not impossible, to cure. Everyone is at risk for Lyme disease. Each one of us is just one tick bite away from contracting the disease. Case of Lyme have been reported in all 50 states and more than 80 countries, making it a health crisis with worldwide impact. To learn more about GLA’s unrivaled focus on the science of Lyme, check out its inaugural research report here or visit its website at www.GLA.org. Lawrence Scott Gottesman brings unparalleled creativity and imagination to his signature special events. 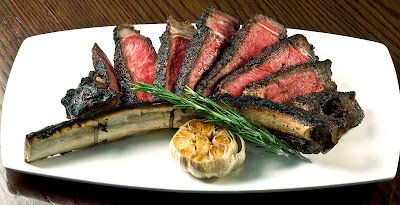 A native New Yorker, Larry started his career in catering before opening one of Long Island’s most successful restaurants, Larry and The Redhead. 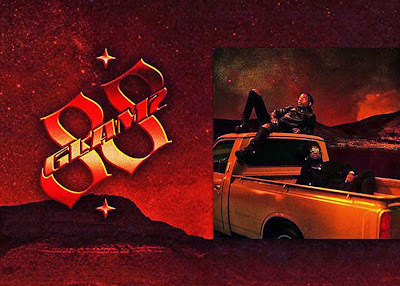 In 1989, he established Lawrence Scott Events and instantly gained a reputation for his exceptional, one-of-a-kind celebrations. “From the ridiculous to the sublime”, A Larry Party™ brings families and friends together for life’s most memorable moments and milestones. While known for his non-stop innovation and ahead-of-the-trends approach, Larry is equally known for his philanthropic efforts. Larry’s commitment to community has spanned decades of support for charitable causes including, Make-A-Wish®, The Feinstein Institute of Medical Research, Live Out loud, Forward Face, City of Hope, and MS, to name a few. 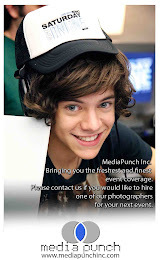 Larry’s reputation is that of a generous and charismatic man who considers his employees “family” and treats his clients with adoration and respect. They return to him time and again to celebrate all of life’s important occasions knowing their party will be like no other — and one that they… "will NEVER, EVER forget!" Platinum Sponsors included Larry Scott of Lawrence Scott Events, Big Apple Circus, Credit Suisse, Nancy and Bob Del Genio, David Nolan Foundation, Tailored Brands, and Withersworldwide.